Teaching Paleontology in the National Parks: What is a Fossil? 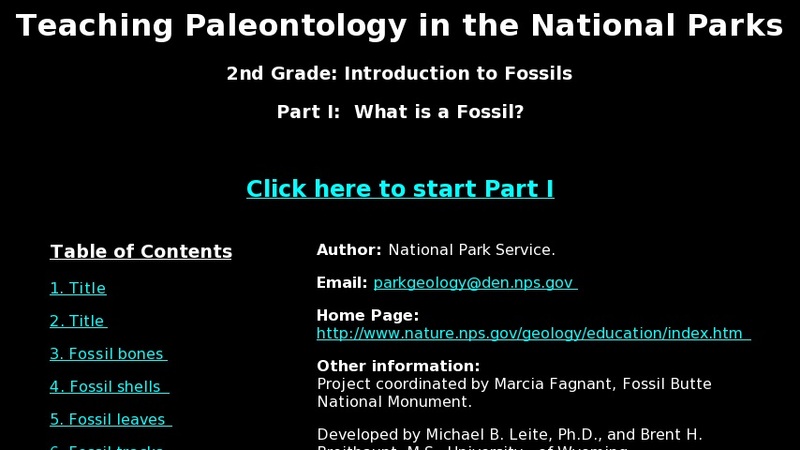 This slide show provides an introduction to paleontology for younger students. The slides show a variety of plant and anmal fossils, and are accompanied by a brief written narrative. Paleontologists are shown at work excavating and preparing fossils, and some National Park exhibits and facilities are also depicted. Links to a curriculum guide and to a downloadable Powerpoint version of the show are included.